Before purchasing a vehicle, it is a good idea to check out its safety rating. This allows you to better protect yourself and your family in the event of an accident. When checking the safety rating of the vehicles you are thinking of buying, you have two primary options to consider, the Insurance Institute for Highway Safety (IIHS), which is a private organization, and the National Highway Traffic Safety Administration (NHTSA), which is an organization run by the U.S. federal government. One resource for looking up vehicle safety ratings is through the Insurance Institute for Highway Safety (IIHS), a private, nonprofit organization funded by auto insurance companies and associations. You can access a large variety of safety data on a wide range of vehicle makes, models, and years at the IIHS site. 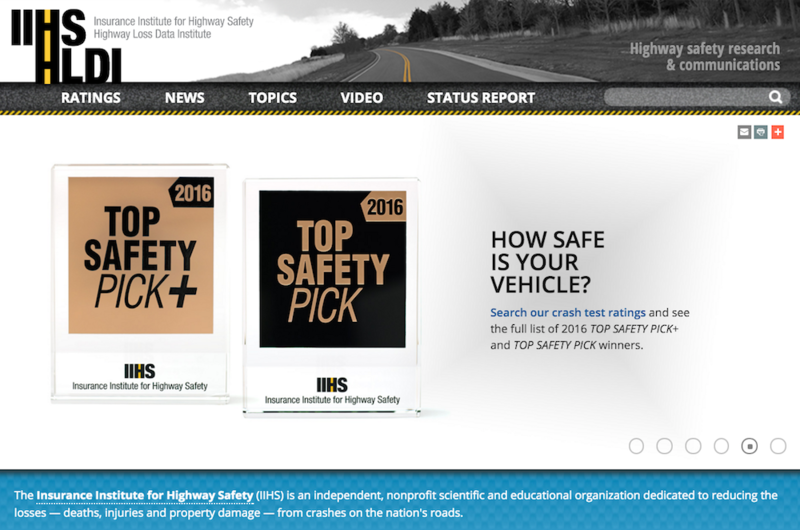 Step 1: Pull up the IIHS site: Begin by going to the IIHS website. Click on the Ratings tab at the top of the page. From there, you can enter the make and model of the vehicle you want the safety rating for. 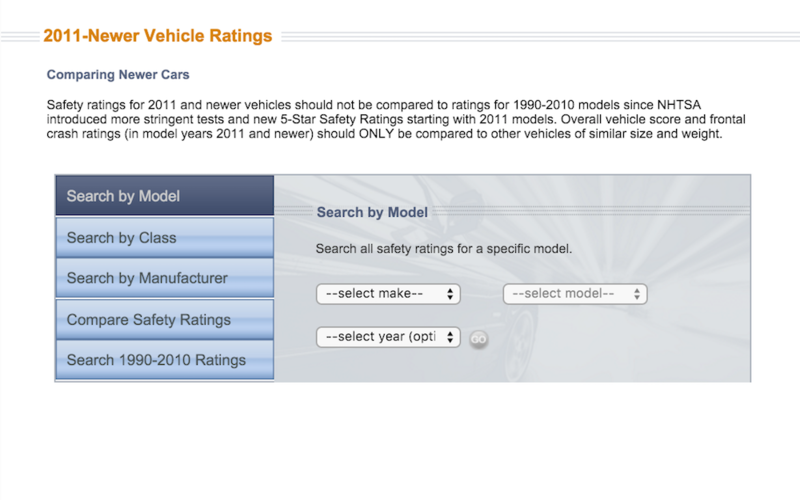 Step 2: Check out the ratings: After you enter the vehicle make and model, the vehicle safety rating page comes up. The top part of the page lists the vehicle make, model, and year. 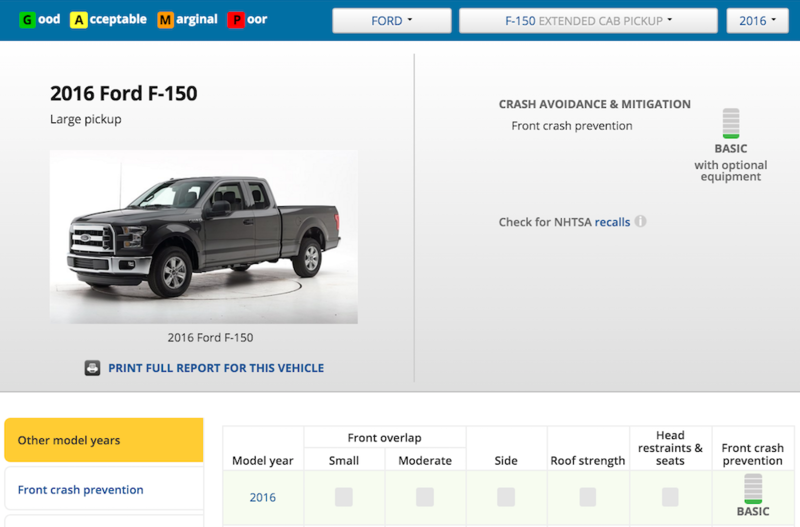 In addition, you can also find the Front Crash Prevention safety rating and a link to any recalls for the vehicle by the NHTSA. Frontal impact testing measures the force of impact after a vehicle is test-crashed into a fixed barrier at 35 MPH. Side impact testing uses a sedan-sized barrier to crash into the side of the vehicle at 38.5 MPH, T-boning the moving vehicle. Any damage to crash test dummies in the front and back seat is then measured. 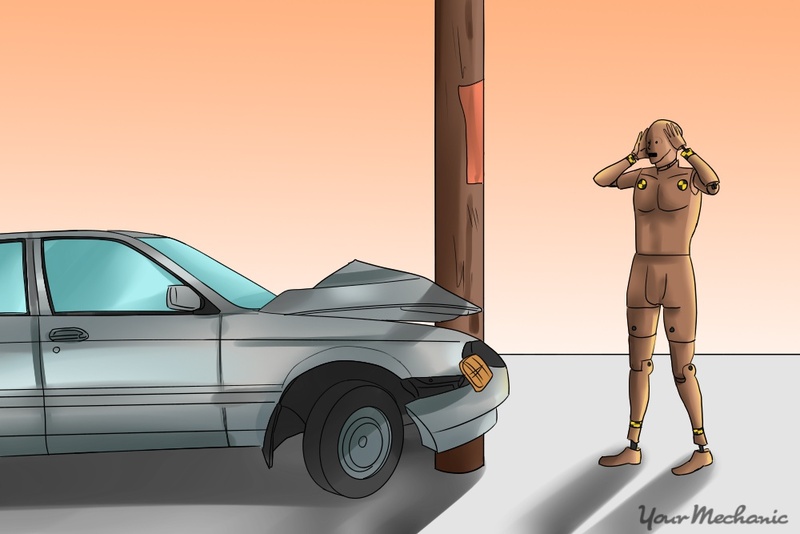 Roof strength testing measures the strength of the roof of a vehicle in cases where the vehicle ends up on its top in an accident. During testing, a metal plate is pushed against one side of the vehicle at a slow and constant speed. The aim is to see how much force the vehicle roof can withstand before being crushed. Head restraint and seat ratings combine two overall tests, geometric and dynamic, to get the overall rating. Geometric testing uses data from a rear impact sled test to assess how well the seats support the torso, neck, and head. Dynamic testing also uses data from the rear impact sled test to measure the impact on an occupant's head and neck. Tip: The Different ratings include G for Good, A for Acceptable, M for Marginal, and P for Poor. For the most part, you want a rating of Good in the various impact testing, though in some cases, such as in the small overlap front test, a rating of Acceptable is sufficient. Another resource that you can use to look up the safety rating of a vehicle is the National Highway Traffic Safety Administration. NHTSA conducts a variety of crash tests on new vehicles using the New Car Assessment Program and rates them using a 5-Star Safety rating system. Tip: Keep in mind that you cannot compare models after 2011 with those between 1990 and 2010. This is because vehicles from 2011 and onward were subjected to tougher testing. In addition, even though vehicles manufactured before 1990 did have safety ratings, they did not include moderate or small overlap frontal testing. Moderate and small overlap frontal testing takes into account angled impacts which are more common than straight on frontal impacts. 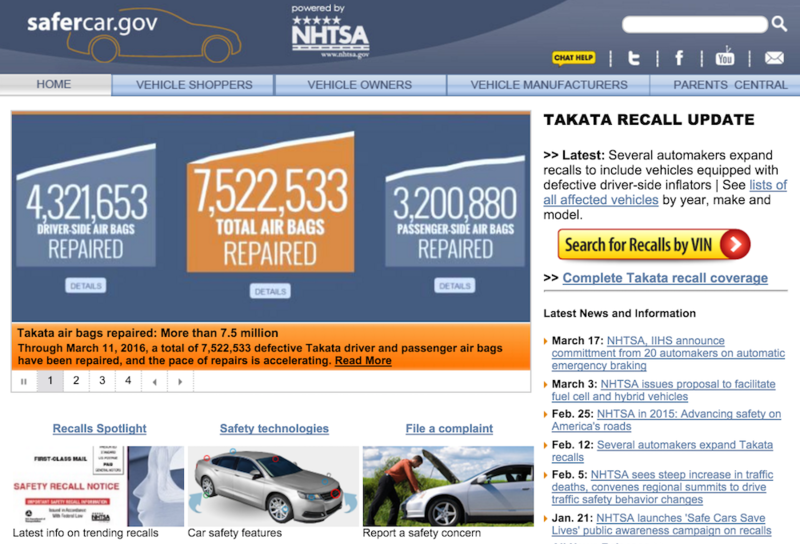 Step 1: Go to the NHTSA website: Pull the NHTSA site, at safercar.gov, up on your web browser. 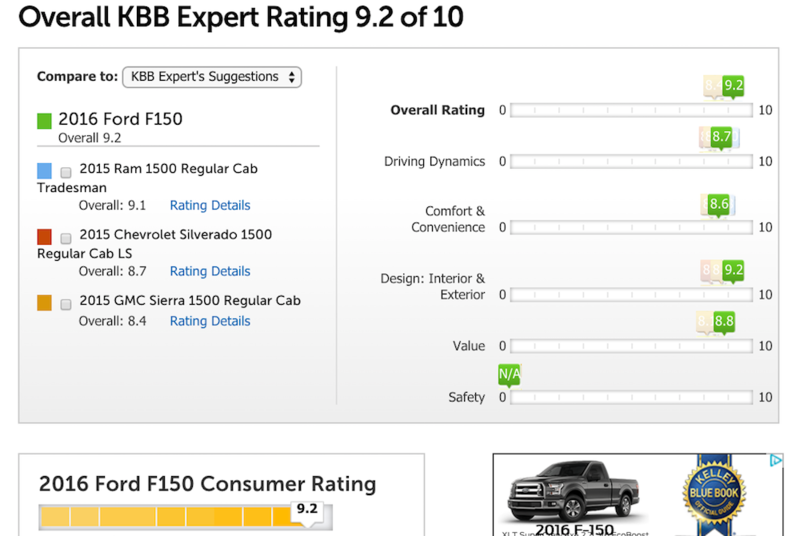 Click the Vehicle Shoppers tab at the top of the page and then 5-Star Safety Ratings along the left side of the page. Step 2: Enter the model year of the vehicle: On the page pulled up, click the year range of the vehicle you want the safety ratings for. The two options will be presented on this page that run from "1990 to 2010" or "2011 to Newer." Step 3: Enter the vehicle information: You now have the option to compare vehicles according to model, class, manufacturer, or safety rating. If you click model, you can further focus in your search according to vehicle make, model, and year. Searching by class gives you a variety of vehicle types, including Sedans & Wagons, Trucks, Vans, and SUVs. When you search by manufacturer, you are asked to select a manufacturer from the list provided. 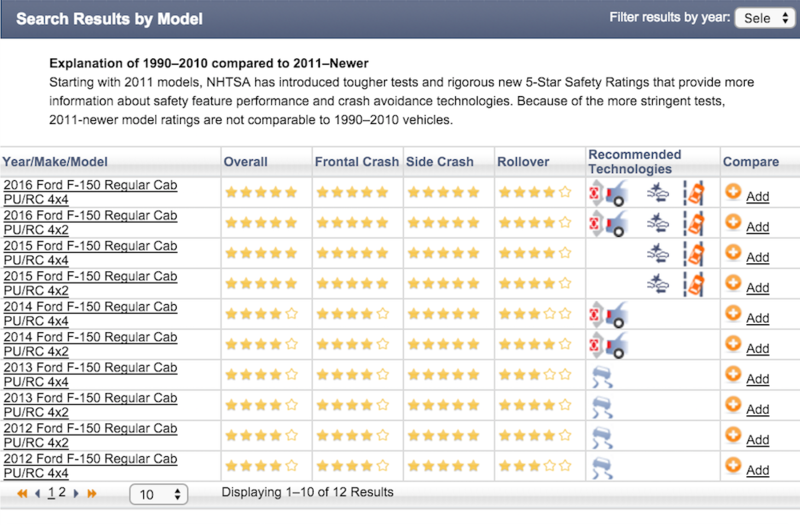 You can also compare vehicles according to safety ratings. When using this category, you have to enter the make, model, and year of multiple vehicles. 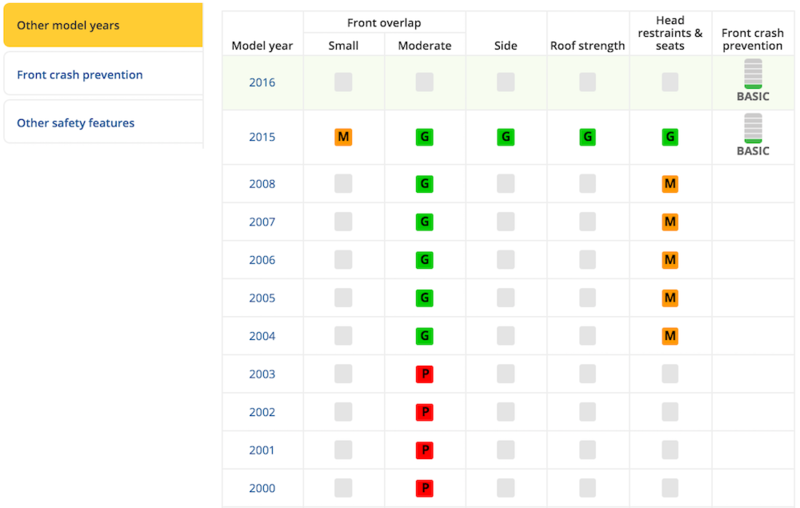 Step 4: Comparing vehicles by model: When comparing vehicles by model, your search pulls up multiple years of the same vehicle model and their safety ratings. Some of the safety ratings include overall, frontal crash, side crash, and rollover ratings. You can also compare various vehicles from this page by clicking on the Add button at the end of each vehicle rating line. You can also find vehicle safety ratings and recommendations from sites like Kelley Blue Book and Consumer Reports. These sources pull the ratings and recommendations directly from NHTSA and IIHS, while others create their own safety recommendations and offer them for free or for a fee. 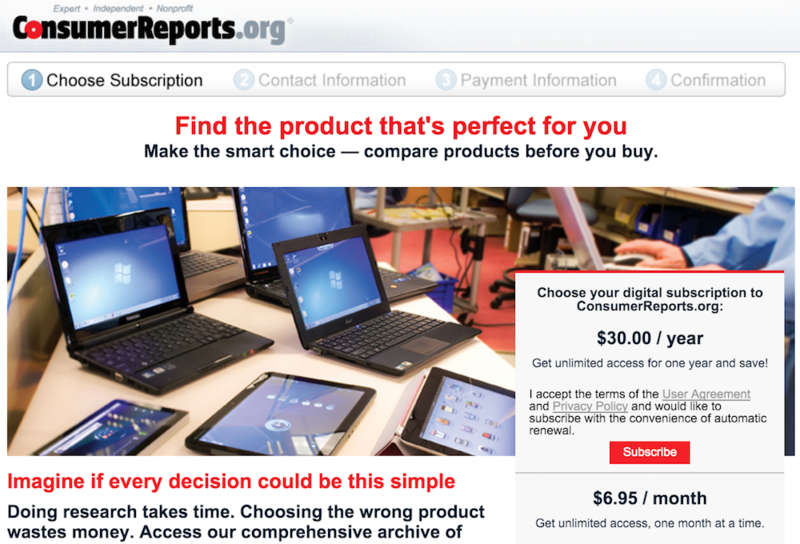 Step 1: Pay sites: To find safety ratings from sites such as Consumer Reports, you have to pay a fee. Log onto the site and click the subscription tab if you are not already a subscriber. Step 2: Kelley Blue Book: Sites such as Kelley Blue Book use safety ratings from the NHTSA or the IIHS. To find ratings for specific vehicles on the Kelley Blue Book website, hover over the Car Reviews tab and click the link on the drop down menu for Safety & Quality Ratings. From there you just click on the various menus to enter the vehicle make, model, and year. 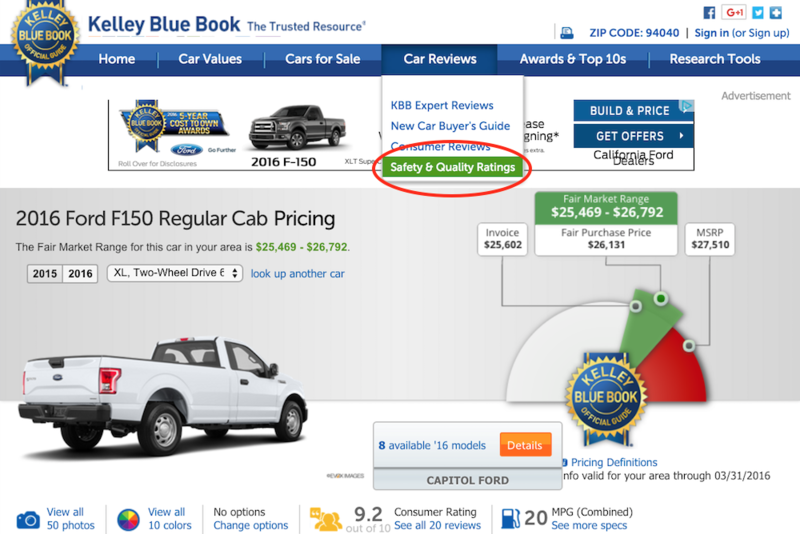 Step 3: Safety ratings: To find the vehicle safety ratings on Kelley Blue Book, scroll down the vehicle quality rating page. Below the overall vehicle rating is the 5-star NHTSA rating for that specific make, model, and year of vehicle. Before searching for a new or used vehicle, protect yourself, as well as your family and friends, by looking over vehicle safety ratings. This way, if an accident happens, you have the best vehicle safety features for protection. In addition to the safety rating, you should also have a pre-purchase car inspection performed by one of our expert mechanics on any used cars you have an interest in to pinpoint any mechanical problems before buying a car. Q: How do I know which seat belt is unbuckled when the safety belt reminder light is on? Q: My car was recalled last year for power steering failure and it was fixed.